Important innovations characterize Airwork's compact guided cylinder. Now it's available a wider range of sizes with the inclusion of sizes Ø10 and 12 mm in addition to the classic Ø16-20-25-32-40-50-63 mm. The most important improvement concerns the presentation of the whole range of guided compact cylinders with cushioning. This is a special system developed by the Airwork's R&D department that enables a self-regulating air cushion with an extremely competitive price. Other special versions are available, such as: high temperature version, with adjustable stroke, with stainless steel plate, with metal scrapers and many others. 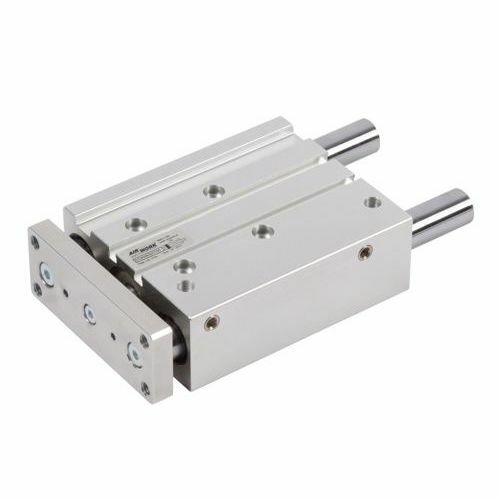 ball guide unit / micro-cylinders / for pneumatic cylinders UG series - "H" & "U"